Inns of Zimbabwe Special - Have Friends, Will Travel! 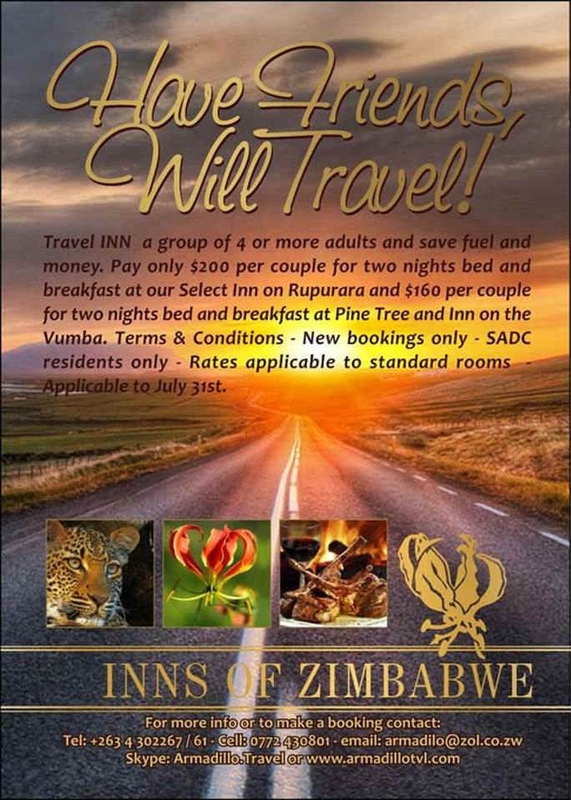 $160 per couple for 2 nights Bed and Breakfast at Pine Tree and Inn on Vumba. Terms and Conditions- New bookings only,- SADC Residents only and rates applicable to standard rooms.